When you have an important real estate transaction, you need a reliable source of funding, one that can provide the funding you need, when you need it. We are a direct, local and private lender originating, underwriting and funding non-traditional mortgages on residential and commercial properties throughout California since 1986. Our borrowers come to us with different needs. Real Estate Investors looking for quick money to purchase and renovate investment properties. Individuals with credit issues but with considerable equity in their property borrowing short-term until they qualify to refinance. A homeowner needing a bridge loan to purchase their dream home before they sell their existing one. We empower Real Estate Entrepreneurs by minimizing obstacles and creating new avenues to seize opportunities that would otherwise be missed. 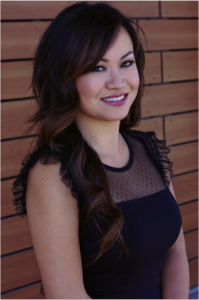 I have been working as a mortgage professional in the San Francisco Bay Area market for over 14 years. I grew up in San Francisco and graduated with honors from San Francisco State University with a BS in Finance and Real Estate. During my career, I have earned many awards and accolades, including President’s Club. Doris’s experience, customer service, and dedication to her clients are why the area’s top realtors choose her as their trusted partner. Doris joined Stonecrest Financial in 2015 and founded Your Trusted Private Lending Team to provide funding solutions to realtors and lenders. I am fully confident that I will sustain continued excellence due to my strong work ethic, vast experience, customer service orientation and professional relationships. I strive to go above and beyond to help clients and real estate partners by offering unparalleled products, personalized service, and a transparent mortgage process. I will always make an effort to inform my clients in an honest, open manner so that they can choose the one that is most appropriate for their situation. They can also rely on an incredible level of attention to detail to ensure that there are no last minute surprises before closing and that their home purchase will not be compromised in any regard. Doris currently resides in Silicon Valley with her husband and enjoys a healthy holistic living. Click on the link to find out more about our services and products and our Line of Credit.